Laurent Blanc’s table-topping PSG are as short as 1/3 to progress to the quarter-finals of the Champions League and on present form it’s difficult to quibble with the layers’ evaluation of their knockout clash with Bayer Leverkusen. Sami Hyypia’s men have hit a poor run of form at exactly the worst time with three defeats in their last four in all competitions. This bodes badly for the German outfit as their three group stage wins all followed domestic victories – something that has been beyond them in their last two attempts. Worryingly for die Werkself those defeats in their last two games have both come at the BayArena and it’s not as if their opponents are having any problems on the road. In fact, PSG are relishing their trips away from the Parc des Princes with the favourites arriving boasting a seven match unbeaten run on the road. The mega-rich Parisiens also are without concerns at home having extended their lead over Monaco at the top of League 1 to five points in recent weeks. As a result, everything points to a victory for Blanc’s men and some home comfort as the leg returns to be completed in the capital. In PSG’s last three games in the Champions League both sides scored, so odds of 13/5 that PSG win the match and the game contains more than 2.5 goals holds some appeal. And although those final few games of the group are slightly spurious with PSG already on course for the knockout phases their early results away from home give further encouragement to the selection. Heavy wins away to Olympiakos and Anderlecht provided the springboard for their comfortable qualification and with Leverkusen’s recent form they could be vulnerable to another home humbling by the French giants. 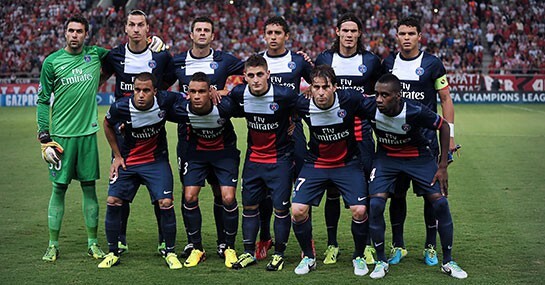 Get on PSG to win with plenty of action thrown in at 13/5.